The EODC infrastructure allows for the possibility to remotely access one’s workspace from anywhere and at the same time directly access all available data without the need to download them to a processing system. For an overview of the functions of the infrastructure see the core facility "EODC Earth Observation Data Centre". The infrastructure is open to all scientific users under the same transparent and non-discriminatory conditions. 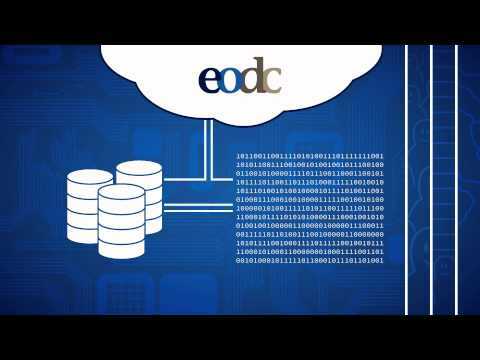 Access to the infrastructure is provided by the EODC through various services (e.g. time-limited cloud platform accounts) or by becoming one of the partners of the EODC cooperation network (https://www.eodc.eu/cooperation-network/). Individual researchers and developers may request free time-limited accounts for testing and specific research projects (approval necessary). Naeimi, V., S. Elefante, S. Cao, W. Wagner, A. Dostálova, B. Bauer-Marschallinger (2016) Geophysical parameter retrieval from Sentinel-1 SAR data: A case study for high performance computing at EODC, Proceedings 24th High Performance Computing Symposium (HPC 2016), April 3-6, 2016, Pasadena, USA, 8 p.
Elefante, S., V. Naeimi, S. Cao, I. Ali, T.S. Le, W. Wagner, C. Briese (2017) Big data processing using the EODC platform, Proceedings of 2017 conference on Big Data from Space (BiDS'17), P. Soille and P.G. Marchetti (Eds. ), Publications Office of the European Union, EUR 28783 EN, 9-12. Wagner, W., J. Fröhlich, G. Wotawa, R. Stowasser, M. Staudinger, C. Hoffmann, A. Walli, C. Federspiel, M. Aspetsberger, C. Atzberger, C. Briese, C. Notarnicola, M. Zebisch, A. Boresch, M. Enenkel, R. Kidd, A. von Beringe, S. Hasenauer, V. Naeimi, W. Mücke (2014) Addressing grand challenges in earth observation science: The Earth Observation Data Centre for Water Resources Monitoring, ISPRS Commission VII Symposium, Istanbul, Turkey, 29 September-2 October 2014, ISPRS Annals of the Photogrammetry, Remote Sensing and Spatial Information Sciences (ISPRS Annals), Volume II-7, 81-88. Wagner, W., J. Fröhlich, R. Stowasser, G. Wotawa, C. Hoffmann, C. Federspiel, C. Nortarnicola, M. Zebisch, A. Boresch (2014) Boosting Scientific Exploitation of Sentinel Data: The Earth Observation Data Centre forWater Resources Monitoring, Geophysical Research Abstracts, Vol. 16, EGU2014-13077. Wagner, W., G. Triebnig, G. Wotawa, T. Nagler, M. Schardt, C. Hoffmann, H. Rott, A. Walli (2012) Feasibility Study for an Earth Observation Data Centre for Water Resources Monitoring (EODC-Water), Final Report of FFG Werkvertrag Projekt 836786, Vienna University of Technology, 74 p.